There have been a lot of great soccer players over the years, and more will still come. However, few stand out from the rest, and these are the players that have left their mark in this sport. Whether it is their skills behind the net as goalkeepers, stopping any attacks by the opponents as defenders, controlling the game as midfielders or scoring goals as strikers, one thing is for certain few have left the game legends. Whether it is living or dead, these players have made their presence felt on the pitch, and that is why they are the best. Below are some of the famous soccer players from around the world. This is one of the greatest players of our time by far, and he will remain this for a lot more years to come. He has proved his skills are unmatched in his club Barcelona as well as his national team Argentina. Messi is one name that a lot of defenders and goalkeepers dread meeting as opponents. From a young age to the most famous football player alive, Messi has won it all, and there is not a record that he hasn’t yet broken. This is also another player that you need not mention twice for people to know who he is. Started his career at Manchester United where he helped the club lift the Champions League trophy and a lot more accolades, Ronaldo sure is a player that is on the lips of many. 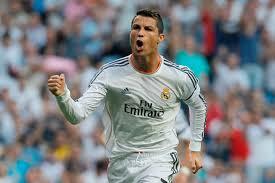 Now ploughing his trade for the Spanish giants real Madrid, Ronaldo is a player that has also won it all. Being named FIFA player of the year for sometimes is no mean feat. He has achieved success in the game beyond anyone’s dreams, and he too remains a force that opponents fear encountering in the field. This is also another player that is sure one of the best at the moment and there is no doubt that one out of ten human beings on this planet knows his name. He has steadily climbed on to the ranks of football’s greats with ease. This is because he is a versatile player with the ball and he can score from anywhere. Playing for Barcelona, he is a figure that you can’t miss on the field and the lips of many. This Brazilian is just an incredible talent that will always be loved and adored by many fans. Although not at his best at the moment, this is also another player on the field that has been a versatile player all through the years. It is no wonder that anyone who knows anything about soccer knows who Wayne Rooney is and what he is all about. He is one of the best Manchester United players there are and have been through the years. He is also England’s national team captain, something that not many people can boast of considering the immense talent in English football. This is one player that has been dynamic all through the years, and a lot of people know who he is. And let us not forget Pele — see the official trailer below for the official film about his life! This post was proudly sponsored by our friends at Tow Truck Huntsville. They provide excellent service, at a price that won’t be beat. It is obvious that juggling has no place in soccer. 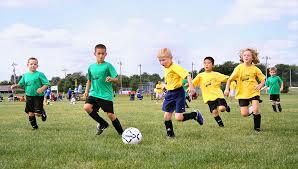 Most people may, therefore, wonder how it will help improve their soccer skills. However, this simple skill will go s long way in helping you become a better soccer player. Juggling will require you to learn how to balance the ball on your feet. This is an invaluable skill when it comes to receiving passes from other players or when making a dash with the ball. Juggling will improve both the skills and coordination. It will also help you become familiar with the ball so that you won’t have to panic every time you have the ball. When in a competition or even a friendly match, a player may have no control over the type of ball that is selected. This means that exposure to different kinds of soccer balls will give you an advantage over other players who may not be so good with different balls. You may, for instance, consider training with mini balls or even tennis balls. Not only will you be better using smaller balls, you will fine tune your skills and get better. Nearly all players have one foot weaker than the other. Working in this foot more will help it become stronger so that in future you can use both feet comfortably. Using this foot to score during practice will make it better. 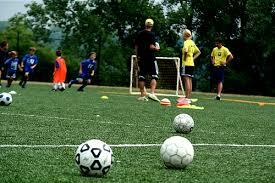 Practice at different distances from the goal and also using different kinds of balls. With time, you will get better. The old adage “practice makes perfect” still stands true. To be better, you will need to practice regularly. It is impossible to be better in soccer without practicing. The best way to do it is to practice regularly, ideally every day. You don’t have to push yourself to the limits. Start small and improve as you progress. Practicing alone may get tedious and boring with time, the best thing to do is to join a club of local players. Lastly, in soccer, you need to have a few skills in your arsenal that you can pull off to overcome an opposing player. However, in the field, it may not always be easy to come up with a trick and pull it off successfully. The best thing to do is learn and perfect a skill with your teammates so that they are also aware of what to expect. That way you will get better every time you pull it off. The above are some of the tricks that will definitely help you get better at soccer. It may not be easy in the first place but it will get better with time through practice. Big thanks to our sponsors at Zion Recovery Center. If you are looking for an inpatient or faith based drug treatment facility, they come highly recommended. Be sure to check them out if you or a loved one need help. Unlike most other sports, soccer doesn’t help its players develop natural flexibility. Given that cold muscles are basically an accident waiting to happen, it’s important to do some stretching before practices and games, as well as during the cool-down period after playing. Special attention should be given to the hips, hamstrings and quadriceps, as those are the areas most susceptible to strains. Stretching is twice as important for youth soccer players between the ages of 10 and 13, as they do not have enough natural flexibility due to their bones growing faster than the muscles. While the long-term effects of heading a soccer ball are not particularly clear, the short term consequences have been known for a while now: weaker mental performance and a decline in cognitive abilities. Of course, these effects are only evident after years of heading a ball; still, there are certain steps that could be taken in order to keep the risk of these injuries to a minimum. In addition to enforcing the regulations on the distance of soccer players during corner kicks and/or free kicks, the ball itself should be weight appropriate for the players’ ages. If the game is being played on a wet field, the ball should be made of nonabsorbent materials. Proper heading form is also important – the neck muscles need to be in alignment with the torso. As we’ve mentioned before, sprains and strains are some of the most common injuries in soccer. They are also among the most preventable, especially if the player sees fit to follow a conditioning program intended for soccer. Most of these programs focus on building up quadriceps muscles and hamstrings, while at the same time helping players to learn how to jump and land with bent knees, which is a technique known to prevent a number of injuries on the soccer field. Proper conditioning is especially important for female soccer players, who are more vulnerable to dislocation of the kneecap and many non-contact injuries. As bodies need time to heal and recover, getting enough rest between practices and/or games is of critical importance. Many chronic injuries begin as minor pains, and a lot of players don’t take them seriously enough and try to run them off. Tendonitis, stress fractures and shin splints all occur due to excessive activity, and usually turn into major problems if the player’s muscles have not completely recovered. In other words, if those aches are still present after a couple of days of rest, you should seek medical help instead of running off to play another game. A big shout out to Towing Huntsville the best tow truck company around, for sponsoring this post — you guys rock! Soccer is not a complicated sport, and therefore the rules are simple to abide by. Consisting of 11 players each, each team has a goalie and 10 field players, each with different positions. The goalkeeper aims to stop balls entering the goals, using and parts of the body necessary, including hands, except for when the ball has been passed back to them by a teammate. If the ball goes out of play behind the goals the goalie must kick the ball off the ground. If they pick up the ball, however, the are allowed to drop punt it. If the ball is kicked out behind the goals by a teammate the opposition receives a corner kick, which is taken from the corner of the field. In soccer, a team’s main aim is to score as many goals as they can by putting the ball into the goals at their attacking end, and to defend their goals from being scored in. All body parts except for hands can be used in moving the ball down the field and there are no limitations on the length of your run, although a long run will probably result in dispossession. To dispossess opponents of the ball, tackles may be made. Tackling the opponent / missing the ball or tackling dangerously will result in a free kick to the opposition at the place of the foul. An extremely dangerous tackle will result in a red or yellow card. Fouls will also be awarded to the opposition if you pull on an opposition player’s shirt or face your studs upwards. The worst thing you can do is to tackle the goalie, as you will be red carded. If a foul occurs in the penalty box a penalty will be awarded. This means that only the goalkeeper can defend a free kick from inside the box. All other players must stand outside the box. Usually, penalties result in goals. When a player touches the ball before it goes out of the field, a throw in is awarded to the opposite team. The person taking it must throw it over their heads with 2 hands and the rule is that the ball has to be released behind the head. Players playing a defending or midfield role usually take throw ins. When a man on the attacking team is standing on the goal side of the last defender of the opposite team it is called offside, which results in a free kick to the defending team where the offside occurs. The goalie does not count as a defender. When you are playing this game you will need to make sure that you don’t take on the goal keeper. He almost is considered to be in sacred ground back there at the goal. Another words, goal keepers are well protected by the rules. Doing a move like this will only gain your team a foul. This is a punishment which will let your opponents have a free turn at trying to score a goal. Of all the basic rules of soccer, that of winning the game by having the most goals scored is the end all be all. You must try to reach this by playing fairly, otherwise your team will suffer useful points. So, what else can be included in the basic rules of soccer? what can you anticipate? You should try and ward off any dive tackles as this can cause hurt to the person that you are tackling. Now, once you become more experienced there are ways to accomplish the same end result as a diving tackle would. Except without the injuries and penalties. Also, you will want to invest in the right soccer equipment that your soccer team approves of. Now there is only one main rule that you will need to remember. From all of the basic rules of soccer this one counts the most – Have Fun! Well now that you know a few of the basic rules of soccer you can try this game out for yourself. 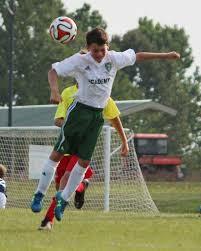 There are many city and state leagues that one can join to start in there soccer endeavors. There are very few rules for you to truly remember but if you want to know some of the other rules that are around for more of the big boys (big matches) soccer games you can see what the FIFA World Wide Web site has about these soccer rules. Big thanks to our sponsors at Floor Coverings International, the place to go if you need to find Flooring Charlotte NC. Thanks for your support, guys!